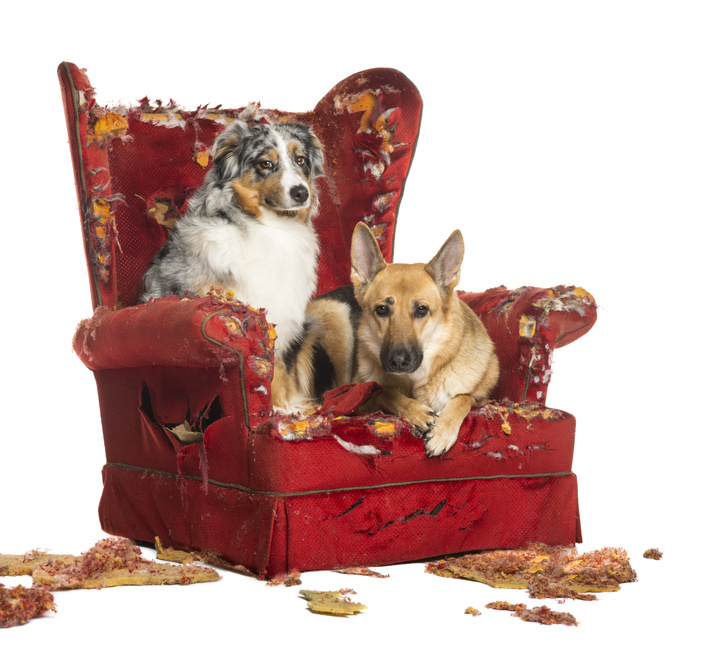 DestructiveDogs | Why is your dog destructive while your gone? 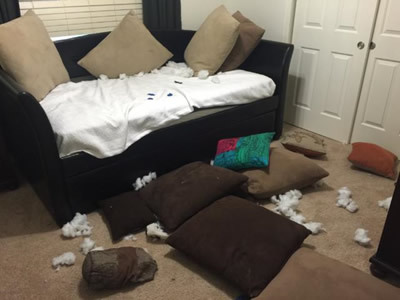 Why Is Your Dog Destructive When You’re Gone? behavior into dogs with forever homes. “Many dog owners have been led to believe that their dog is suffering from “Separation Anxiety,” when often times nothing could be further from the truth. When Dog Behavior Is Misunderstood, There Is No Cure! 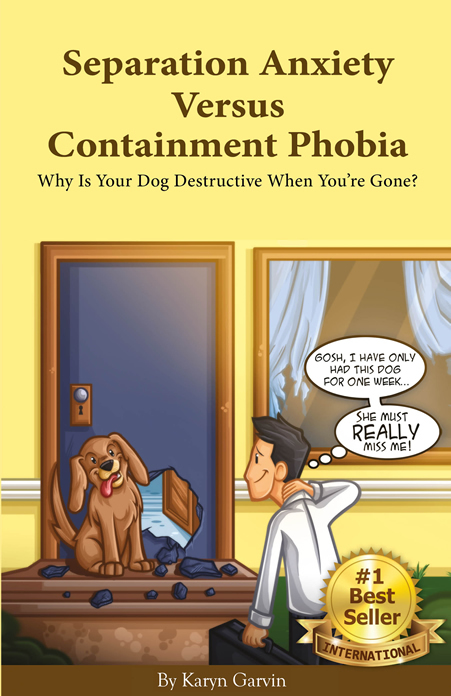 You are also going to learn about another condition, “Containment Phobia,” which affects at least 10% to 15% of our dog population. That is a lot of dogs!!! This book is committed to lifting the veil that has clouded the unique attributes and differences of these conditions for far too long. After all the money we wasted and all the destruction we incurred! I scheduled a private lesson with Karyn Garvin because I was told my dog had Separation Anxiety. Ever since my dog was a puppy, she has destroyed window coverings at each home we moved to. Since this only occurred when we were gone, all the experts I talked to and the literature I read called it Separation Anxiety. There was very little that I could do about it since my wife and I had to go to work. We loved our dog and just hung in there. Recently, I needed her to stay at my mother‘s house and sure enough, she destroyed my mother’s window coverings as well. That’s when I called Garvin’s Dog Training. It only took Karyn a few minutes to tell me it wasn’t Separation Anxiety, but rather, a symptom of Containment Phobia. My dog had a fear of being trapped. The reason she only destroyed the window coverings was because her destruction was in relationship to trying to escape. It only took me a moment to put two and two together and know that what she was saying was true. With the Separation Anxiety diagnosis, I had thought Roxy was destroying window coverings because she was at the window looking for me. There was nothing I could do to change that. Then I suddenly remembered how, at the last house she destroyed, we had put in a dog door for our senior dog that had bladder control issues, and sure enough, all of Roxy’s destructive behavior stopped immediately. 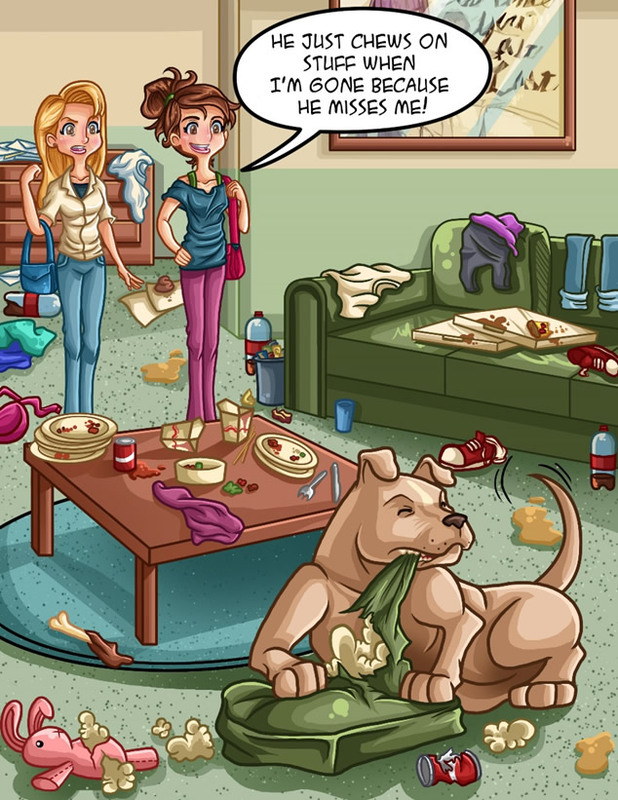 Discover New Strategies in How to Manage Separation Anxiety! Separation Anxiety is an innate condition that effects people as well as dogs. Learn more about the science behind the term “Separation Anxiety”. There is scientific proof that we need each other! Since it occurs when I’m gone it must be about me! This Is Not Always the Case!!! 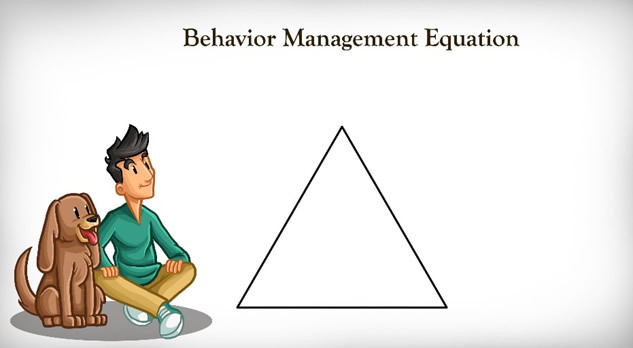 The Behavior Management Equation is a formula for dog owners to use whenever they are looking to resolve a behavioral issue with their dog. There are always three components to this equation that need to be taken into consideration. There are only a handful of people who have been training dogs professionally for as long as Karyn Garvin. 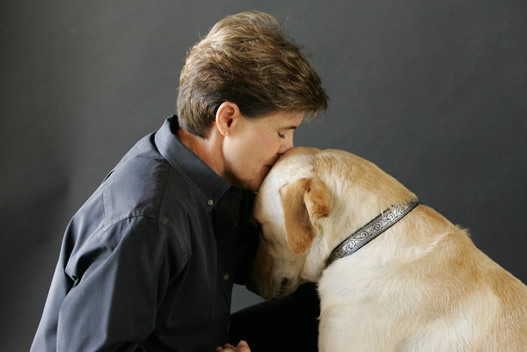 She has been a full-time, professional dog trainer since 1977. 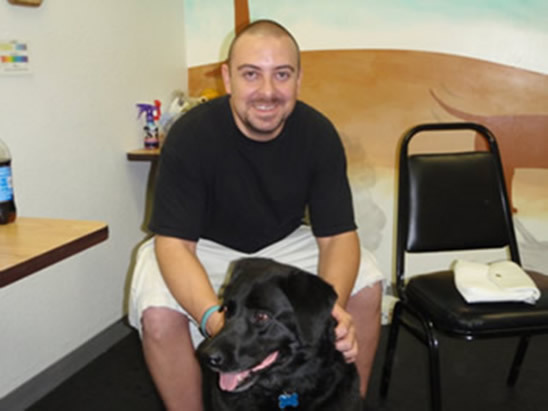 Garvin’s extensive experience has led her to develop The Integrated Approach to dog training. The Integrated Approach to dog training is unique because it combines spirituality and the sciences of psychology and etiology. Just as Integrative Medicine takes into account the whole person, so does The Integrated Approach to dog training take into account the whole dog: mind, body and spirit. The Integrated Approach to dog training views the dog first and foremost as a kindred spirit. Both people and dogs are unique regardless of race or breed. There is no one-size-fits-all. The Integrated Approach to dog training is always flexible, seeking effective solutions that are for the greatest good in each unique situation. Once again, this book will offer you an excellent example of diverse solutions for various situations. I want to promise you that you are about to read new information and gain new insights that you have not read or heard anywhere else. I am a natural when it comes to dog training, but I cannot say the same for myself when it comes to writing books. I needed a burning desire to find the discipline to do what it takes to actually write a book. This book is being written with the intention of making a difference in your life as well as in the world. I pray that with your help, the new insights you gain from reading my words will have an international outreach. With your help we can save dogs’ lives, as well as the hearts of the people who love them.